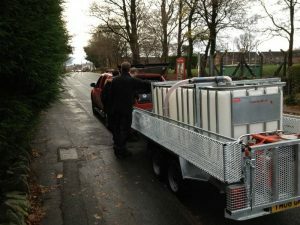 We’ve just returned from a challanging shoot (to say the least) up in Wigan and Selby, Yorkshire shooting a TV ad for Canopies UK. 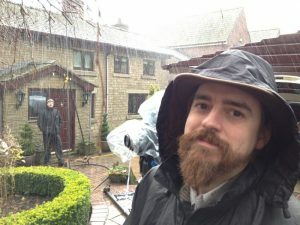 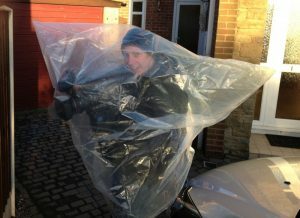 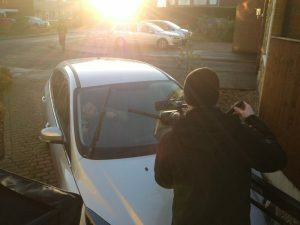 Here are some shots of the shoot, which included a rain machine, cast of 12, multiple locations and a naughty malfunctioning FS100 camera! 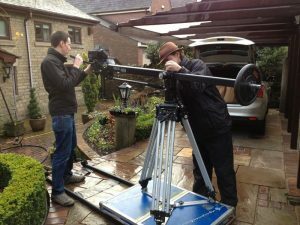 Evan and our Director of Photgraphy of choice, Steve setting up a dolly AND a jib! 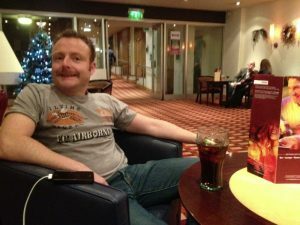 Production fixer Gav O’Malley R slouching around in the hotel in Bolton – we had a top curry afterwards! 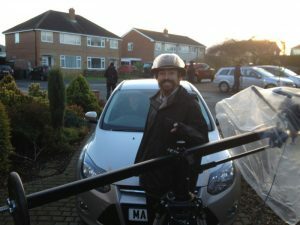 Gav “Onions” O’Malley standing in for a miserable car driver at the start of day 2.